All-you-can-Skate & All-you-can-Eat Pizza - together for ONE LOW PRICE! A FREE PIZZA BUFFET is included in your admission price. Pizza will start at 6:00. 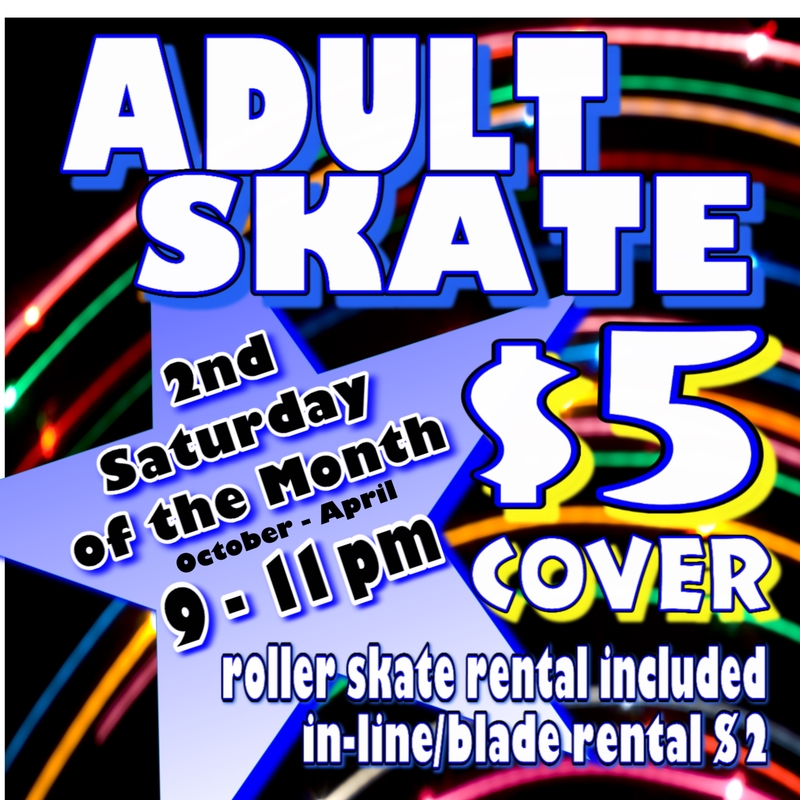 Roller skate rental also included with admission. In-line/blade rental is $3. Uptown Playland is $2. Skate-mate rental is $4. All personal skates are must meet our inspection requirements. ALL PEOPLE ADMITTED TO BUILDING PAY ADMISSION on this night! 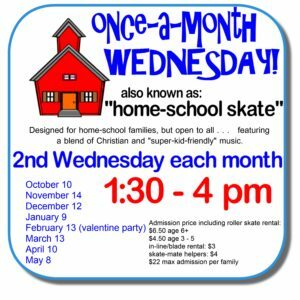 You don't have to eat, and you don't have to skate, but admission payment is required. No exceptions, so please do not ask. This applies to birthday guests/parents as well. No discounts, coupons or free passes can be honored on this night. Other restrictions may apply.